We sell, install, and service commercial-grade Smart Locks. 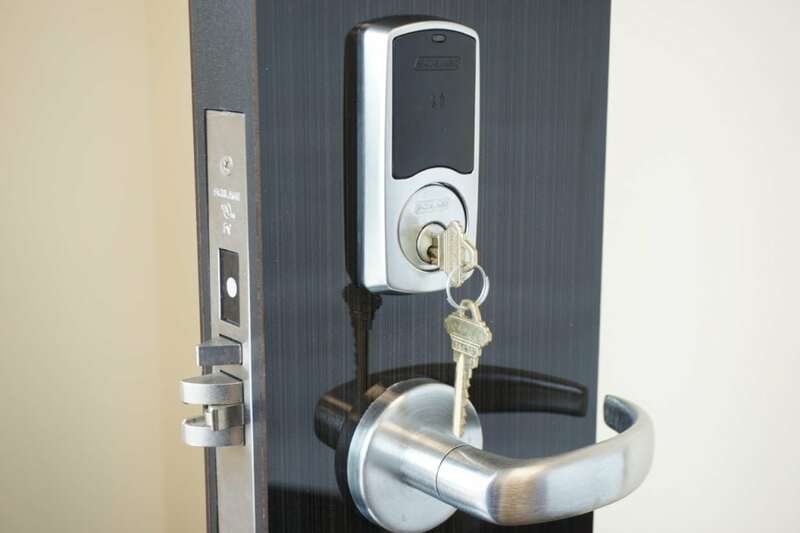 If you own or manage a business or other commercial property in Pittsford, New York, or the greater Rochester area, contact Black Hawk Lock & Key and ask about our high-quality commercial locksmith services. We’ll send a licensed and insured mobile locksmith right to your location in one of our fully-stocked mobile locksmith vans. Our commercial locksmith services are affordable and we even provide 24/7 emergency service when you need it. We’re also happy to provide upfront estimates for any of our servives, so don’t hesitate to call us. Don’t risk your commercial property’s security by contracting with an unqualified non-professional service provider. Black Hawk Lock & Key provides commercial locksmith services to Pittsford, New York and the greater Rochester area including Webster, Greece, Fairport, Henrietta, and Penfield. Each of our commercial locksmiths is certified, registered, and insured. You can count on their expertise, experience, and consummate professionalism. Our mobile locksmiths will arrive to your property along with any needed products or parts. We bring all tools need to provide you with on the spot service. We’re members of 1-800-Unlocks and the Fair Trade Locksmith Directory so you can rest assured that we’re highly professional and highly trained. We also guarantee all our commercial locksmith services. When you contract with Black Hawk Lock & Key, you can count on us to provide the highest-quality products in the industry for your commercial needs. We carry respected brands like Schlage, Alarm Lock, Marks USA, Kwikset, Arrow, and GMS. We recommend using high-quality products designed to stand the test of time. From new locks to new keys, our offerings will ensure that you have everything you need for your lock and security needs. From traditional office settings and apartment buildings to retail shops and factories, our commercial services are designed for our customers in and around Pittsford, New York. We tailor our services to suit your need, so please call us today if you want new locks installed, need your doors rekeyed, or want to hear more about our affordable repair and installation services. If one of your keys breaks in a lock or you are locked out of your property, we can provide you with emergency service at a competitive price. If you have questions about any of our commercial locksmith and security don’t hesitate to call us today.